The Cat Gang's all here! Shiro, Kuro, and Mike. Available on various mugs and plates - collect them all! 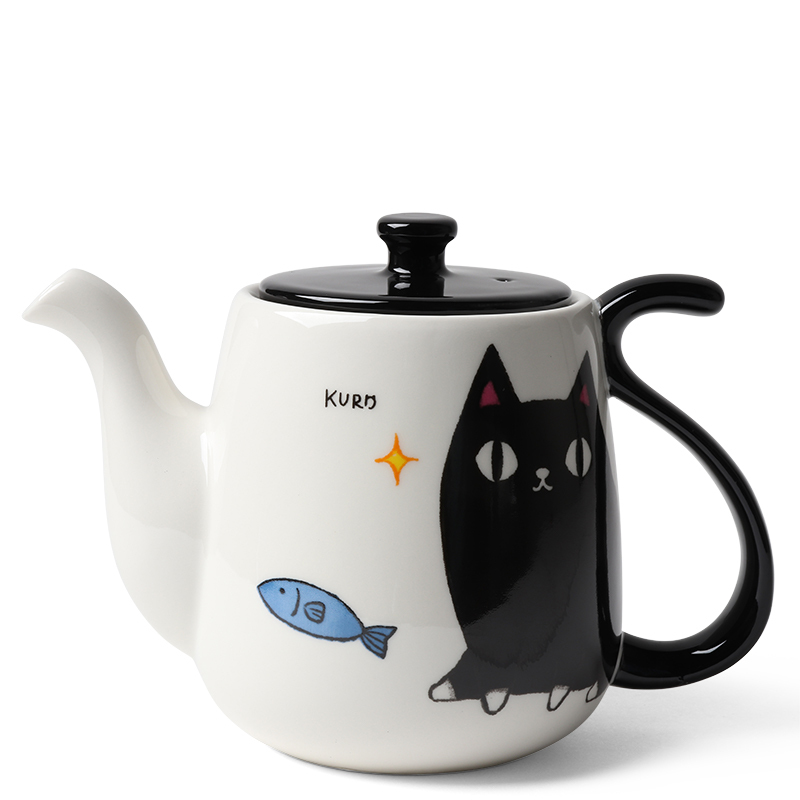 This cute teapot is purrfect for tea time. 6.5" x 3.75" x 4.75"h.